See what our customers have to say about the Basil difference. Please ask for Brandon. He was phenomenal. Very professional and patient. I love this place. I knew what I wanted going in and my sales associate David Wagner made it all happen. He managed to get me a great deal and included everything I needed. I came in with financing ready and they were able to get me an even better rate on top of everything else I asked for. I will definately recommend to my friends. Pre-Owned 2010 Kia Soul ! New vehicle pricing includes all offers and incentives. Tax, Title and Tags not included in vehicle prices shown and must be paid by the purchaser. While great effort is made to ensure the accuracy of the information on this site, errors do occur so please verify information with a customer service rep. This is easily done by calling us at (716) 631-0404 or by visiting us at the dealership. 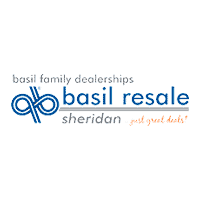 Basil Resale Sheridan	42.977871, -78.779841.